In this blog post, we'll show how you can simplify the customization of (de)serialization. In the past few blog posts, we've demonstrated how to customize serialization, deserialization and how to utilize instance creators. All of those options were only available via a custom Gson instance and some boilerplate code. Gson 2.7 introduced a simple annotation were you can save quite a bit of code and achieve the same result. If you're interested in @JsonAdapter, keep reading! 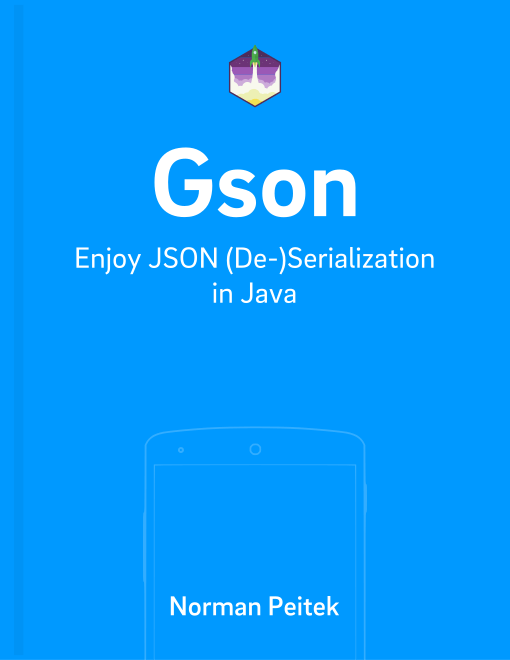 The @JsonAdapter annotation we'll use in this tutorial is only supported by Gson 2.7 (or newer)! The snippet above shows you an example of a custom serializer. We'll still need an implementation of the JsonSerializer interface, but the other code around it can be simplified. Once you've wrapped it in a public class, you can use it in the @JsonAdapter annotation. The @JsonAdapterannotation, just like the other annotations we've explored in previous posts, are added to the Java model. In the example above, we would need to change the models that include List<Merchant> properties. The property that requires a custom serializer, will be enhanced by the @JsonAdapter annotation. The annotation only accepts one single parameter: a class reference. That class needs to implement either JsonSerializer or JsonDeserializer. You can completely get rid of the GsonBuilder part and simply use the default new Gson() instance. Once again, the alternative solution is to change it from a custom Gson instance with registered type adapters to annotating the model. As you can see, the code in the deserialize() stays identical. A slight difference to the previous example of custom serialization via annotation is that we're annotating the entire class and not a specific property. Both ways are possible and useful! One limitation of Java annotations is that you can only add one annotation for each class (or property). If one of your models or properties requires a custom serializer and a custom deserializer, you'll need to continue to use the long way via a custom Gson instance with registerTypeAdapter() calls. In this tutorial, you've learned how you can use the @JsonAdapter annotation to save a lot of boilerplate code and simplify your code base. While it doesn't add any new functionality, it makes your code cleaner and easier to understand. Additionally, it prevents you from accidentally registering multiple custom (de)serializer by only allowing one annotation for each model (and property).